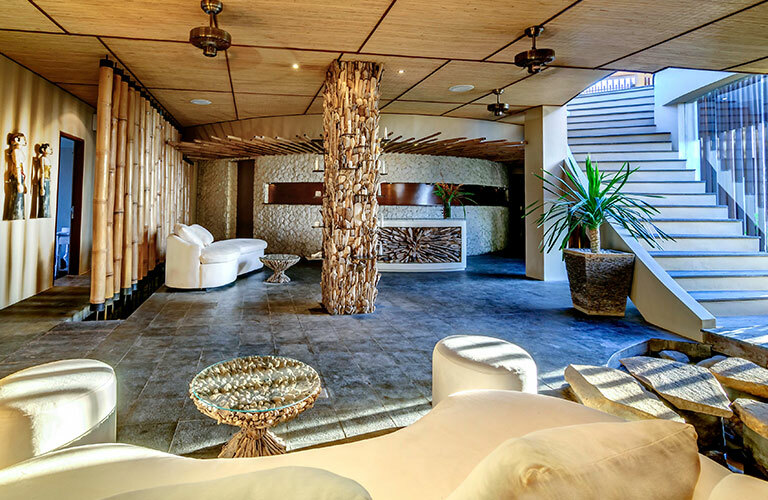 Our Spa and Wellness center offers an extensive menu of relaxing and rejuvenating treatments to keep you "looking & feeling" your best on vacation. 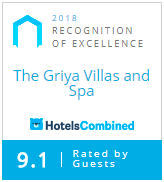 Escape into our luxurious yet intimate Channa Spa, chill with a healthy herbal tea in our lounge while having a pedicure, or keep up with your fitness routine in our state-of-the-art fitness center. Our Treatments are recommended for both women and men and each can be tailored into couple’s packages. All our prices are indicated In IDR and are subject to 21% Tax & Service. Enjoy your day together with your partner in one room. This treatment will relax your mind and body. The treatment will begin with a full body scrub to exfoliate dead skin cells, followed by flower bath and body massage, which will relax tension. The session concludes with a refreshing facial to moisturize the skin. This treatment will relax your mind, body and soul. We will start with a soothing sea salt aromatherapy footbath to smooth the skin. 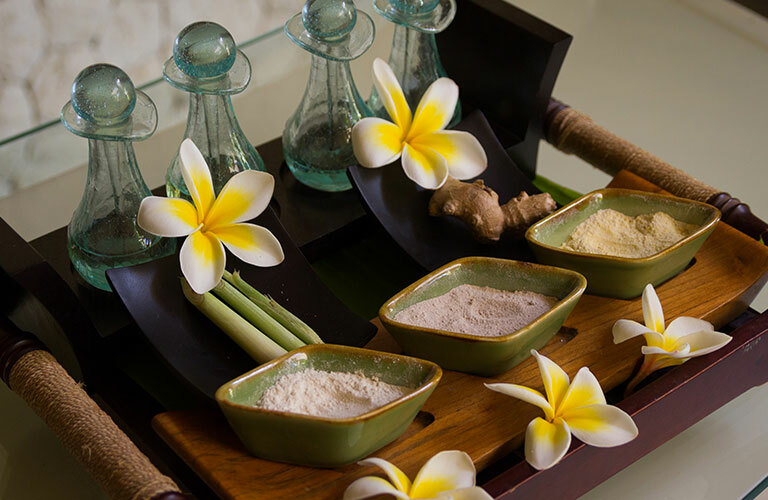 A Balinese coffee full body scrub to remove all dead skin cells will follow this initial refreshing treatment. 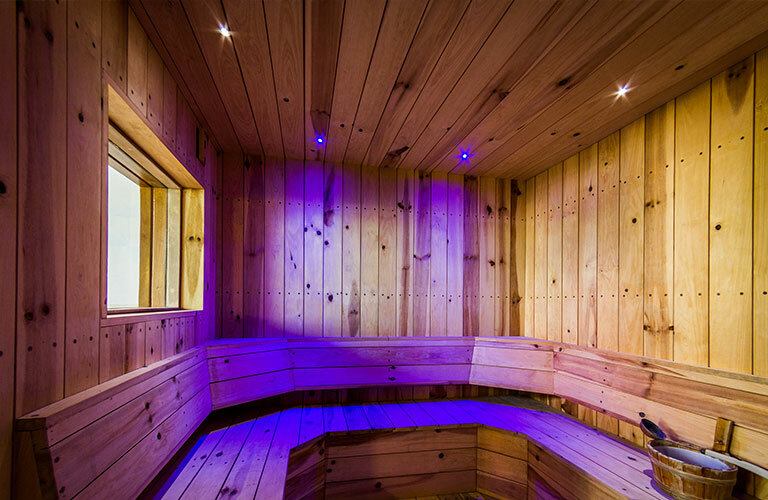 Your session will continue with a 20-minute sauna session to stimulate blood circulation and rejuvenate your entire body. You’ll then be able to enjoy a relaxing full body massage using the best-blended aromatherapy oil. And last but not least, the focus now turns toward your mental and emotional experience with Reiki Tummo energy to balance your mind, body, and spirit. Allow your body, mind, and spirit to unite in a perfect balance. 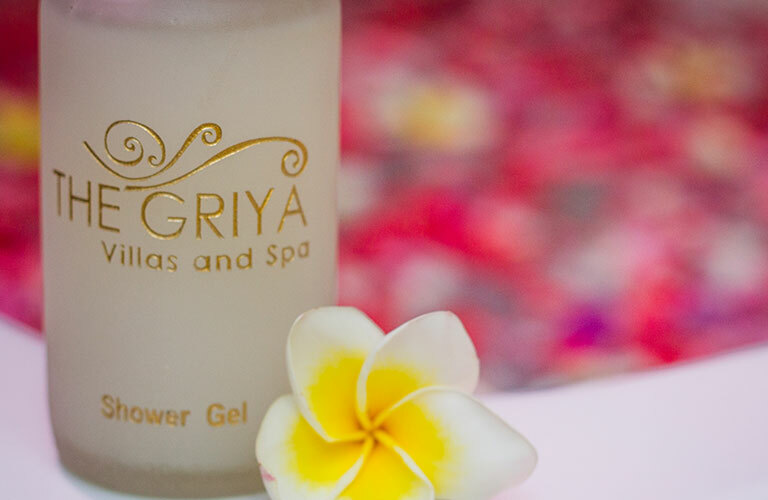 Awaken the spirit with an exfoliating body scrub and balance your mind and body with the Griya body massage. This is followed by a unique application of a body mask. During the mask, the therapist will do the rejuvenating facial to lift, firm, and tone your skin, while reducing the appearance of lines and wrinkles. You will be pampered from head to toes during this treatment. Enjoy a full body massage using the best-blended aromatherapy body oil, followed by mini facial to tone the skin. After which, it is time to relax your scalp and shoulders while we apply the nourishing cream to your hair. Your treatment will finish with a manicure or pedicure so that you will feel totally clean and fresh. For all Spa Packages, the treatments that are part of one package will be given all at once during your stay with us, i.e. in the same day. 10 Heart Chosen Emeralds are placed on special points on your face and body to rejuvenate and deeply cleanse your whole body. The healing energy connects you to the Earth, relieves your mind, body and heart of any stress or tension, leaving you feeling deeply relaxed, radiant and refreshed. 10 Heart Chosen Emeralds are placed on special points of your face and body, while receiving Reiki Tummo energy healing. Combining these two healing energies will maximize the deep healing of your whole being, rejuvenating your internal organs all the way to your skin's surface, removing negativity, cleansing your mind, body and soul. This treatment helps you to recover from Jet Lag. In addition to the benefits of the Royal Emerald treatment this treatment will also stimulate blood circulation and awakens the skin, leaving you feeling silky, refreshed, smooth and looking visibly more healthier. Recommended for those who often sit for long hours. 4 Heart Chosen Emeralds are placed on special points on your face to brighten up your face, reduce fine lines and improve and rejuvenate your skin. 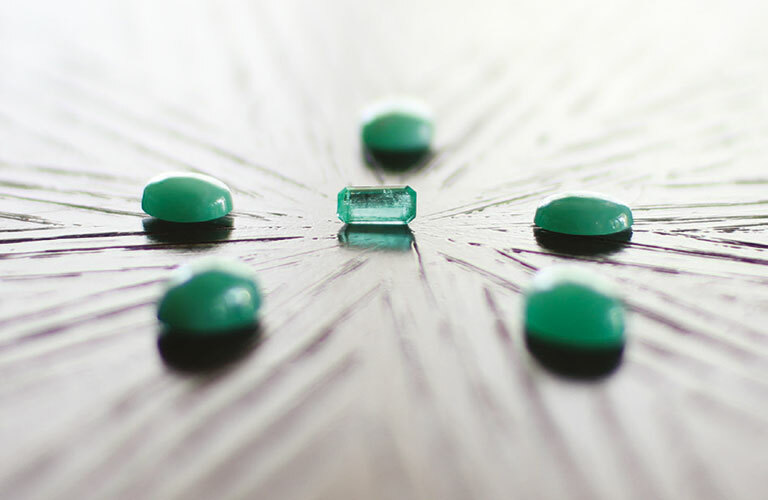 The soothing energy of the emeralds also work together to calm your mind. 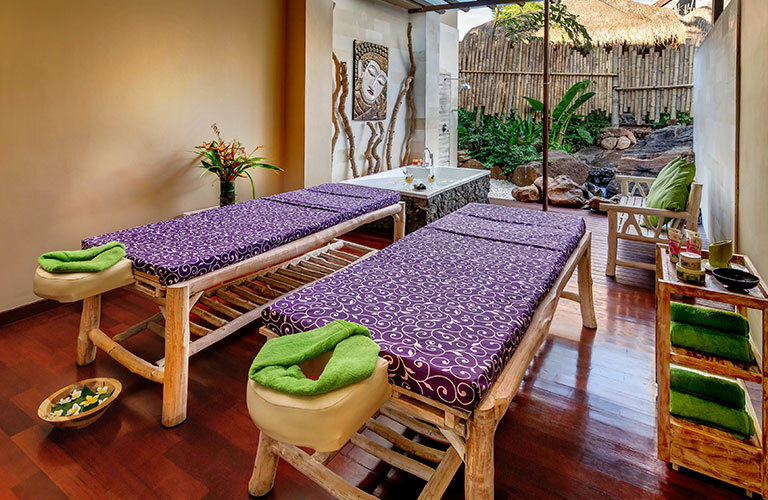 Treat yourself with a great massage to make you feel healthy, energized and relaxed. The amazing feeling of being relaxed, energized and pain-free gives you a boost like no other treatment. The massage therapists offering a four-hand massage work together in this treatment. Their hands will feel like they are perfectly synchronized. Most techniques used are based on Swedish massage using strokes, kneading, and touches in order to relax your body. Heated, smooth stones are placed on certain points on the body to warm and loosen tight muscles and balance energy centers. The massage therapist may also hold stones and apply gentle pressure with them. The warmth is comforting. Hot stone massage is good for people who have muscle tension but prefer lighter massage. Getting a massage is one of the best treats for your body and your mind. We begin by drizzling warm oil over the body. Light rhythmic strokes are used with movement toward the lymphatic glands to drain away toxins and balance both sides of the brain. Massage deeply relaxes the nervous system and stimulates blood circulation. Our signature massage utilizes a variety of techniques inspired by popular traditional Asian massage. This massage concentrates on pressure points to banish blockages in the body’s energy flow and flush out toxins from the lymphatic system. Gently exfoliates your body using naturally extracted plant and flower extract blended with antioxidant rich scrub to remove dead skin cells. This stimulates blood circulation and awakens the skin, leaving you feeling silky, refreshed, and smooth. You can also pamper yourself further by adding a body mask or body massage of your choice to complete the spa experience. Reiki is a Japanese technique for stress reduction and relaxation that also promotes healing. It is administered by "laying on hands" and is based on the idea that unseen life force energy flows through us and is what causes us to be alive. When one's life force energy is low, then we are more likely to get sick or feel stressed. When one’s life force energy is high, we are more capable of being happy and healthy. A treatment feels like a wonderful glowing radiance that flows through you and around you. Reiki treats the whole person including body, emotions, mind and spirit, creating many beneficial effects. Some benefits include relaxation and feelings of peace, security, and wellbeing. A pedicure consists of filing, shaping of the free edge, cuticle treatment, massage of the feet, and the application of nail polish. A manicure is a cosmetic beauty treatment for the fingernails and hands. It consists of filing and shaping the free edge, pushing (with a cuticle pusher) and clipping (with cuticle nippers) any nonliving tissue (limited to cuticle and hangnails). Treatments include a massage of the hands, and conclude with the application of fingernail polish. 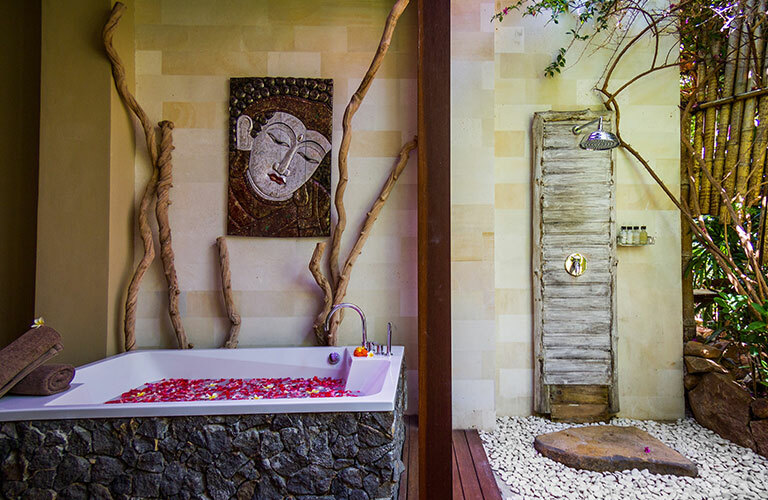 With the stress of modern life, spa treatments have become more than just the occasional pampering. They are a requisite for “looking & feeling” great. In this unique Galvanic Facial Treatment, we use cutting-edge technology to soften the appearance of lines and wrinkles in order to rejuvenate your complexion, as well as refresh and energize your skin. It deeply cleanses your skin of any unwanted impurities that cause a dull and lifeless appearance. We guarantee that you will look visibly younger and feel vibrant and revitalized. This lifting facial’s target is to refresh dull and lifeless skin. We will start with double cleansing, exfoliating, extractions, and massage while applying lifting facial mask. The mask helps to promote cell regeneration, boost elastin and collagen, as well as reduce lines and wrinkles. A hand and foot massage completes this treatment. Refresh your face and body with this fantastic facial. It consists of facial cleansing, exfoliating, massage, and followed by an application of a facial mask. During the mask, the therapist will massage your hands and feet. This facial will help you to improve the skin tone. Mini facials are a cosmetic treatment designed to give you most of the benefits of a full facial in less time. A Mini Facial usually lasts around 30 minutes, making it a convenient option for people with busy schedules and little time to spare. Love to have your feet rubbed? The therapist works primarily on your feet, stimulating various reflexology points in the feet. These points correspond to body organs. Through manipulating the points the therapist can promote health in that organ via the body's energetic pathways. Reflexology is a powerful treatment with benefits that can be felt throughout the body. Cream bath treatment is designed to hydrate and nourish your hair, in addition to rejuvenating your scalp. Your treatment begins with a head massage. We will use a hot towel while massaging the neck, shoulders, arms, and hands to add a touch of pampering. SPA FOR KIDS - 2 to 12 years old. Girls love a trip to the hairdresser. 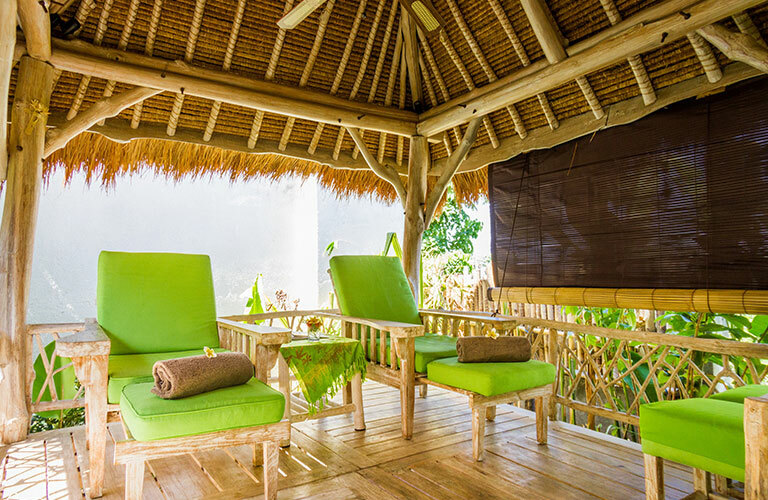 In this case, the salon comes to you in your villa. A full head of plaits will last for up to a week. Fun and relaxing manicure and pedicure treatment for cleaning, shaping and polishing those little nails. A selection of natural chocolate, strawberry, vanilla or mango massage oils is employed with specially designed gentle massage to introduce children to the wonderful benefits of massage. This relaxing treatment will promote sound sleep and melt away any tension or fatigue.